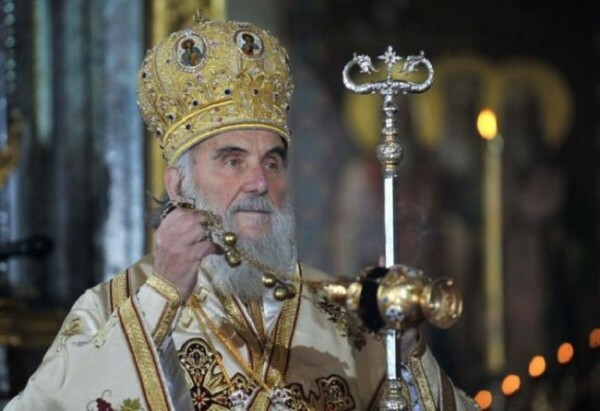 BELGRADE – Patriarch Irinej of the Serbian Orthodox Church (SPC) will visit the Hilandar monastery at Mt. Athos in Greece, following the liturgy and memorial service to victims of World War I which he will serve at the Serbian military cemetery of Zeitenlik, on the occasion of the 100 years since the onset of WWI. Patriarch Irinej will meet in Thessaloniki with Metropolitan of Neapolis and Stavroupolis Barnabas, a great friend of the Serbian people, with whom he will serve the divine liturgy for the dead and the memorial service to fallen heroes at Zeitenlik, SPC released on its website. Patriarch Irinej is accompanied by Bishops Hrizostom of Zvornik-Tuzla and Justin of Zica. After Zeitenlik, Serbian Patriarch will visit Karyes, the administrative seat of Mt. Athos, and meet with members of the Holy Epistasia, the Holy Mount Athos executive body. Patriarch Irinej will also serve the holy liturgy at the Hilandar monastery and visit the monastery grounds that are currently being restored and renovated.